Hi foodies! 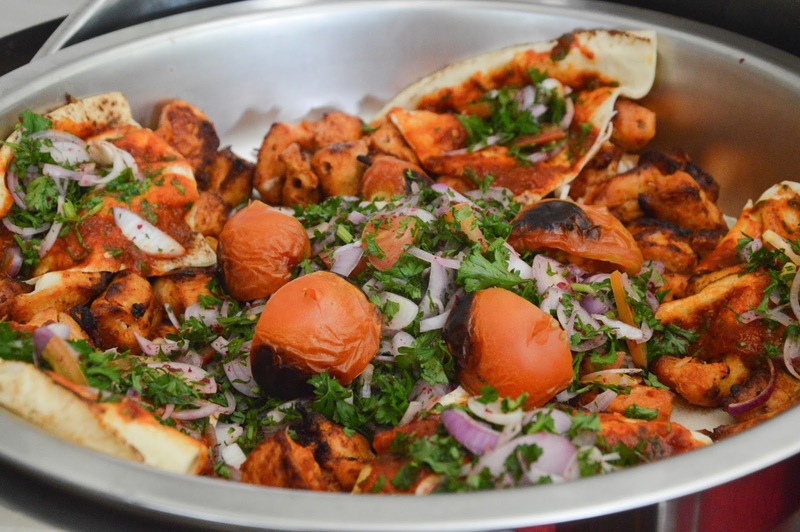 Anyone love Arab Food? 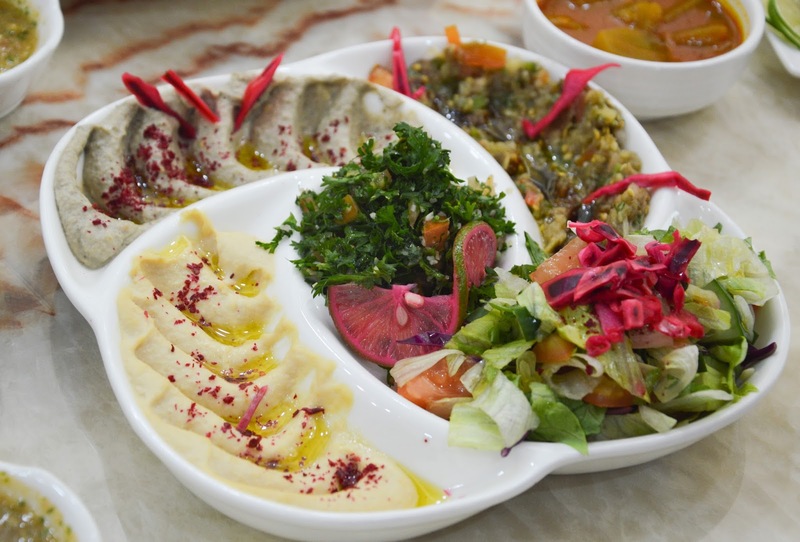 So what is the best Arabic Restaurant you have beem so far? Have you been in Taiba Restaurant before? 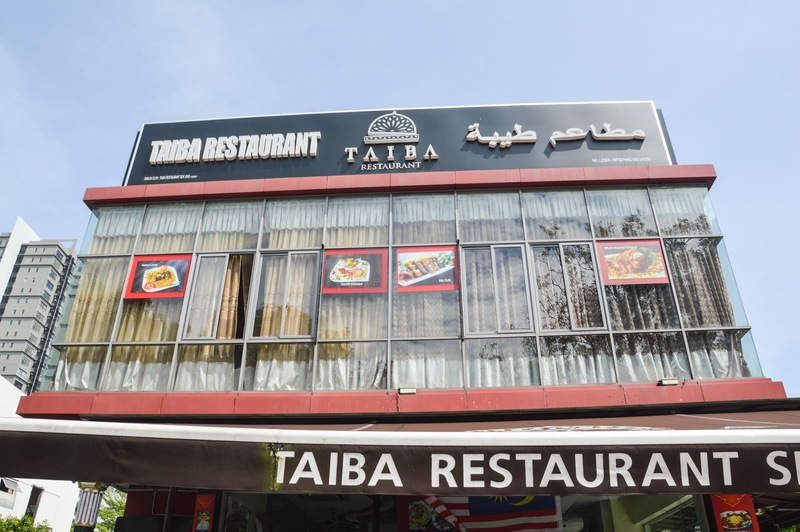 Taiba Restaurant is situated in Cyberjaya and Putrajaya,serve authentic Arabic or Yemen Food in Malaysia. 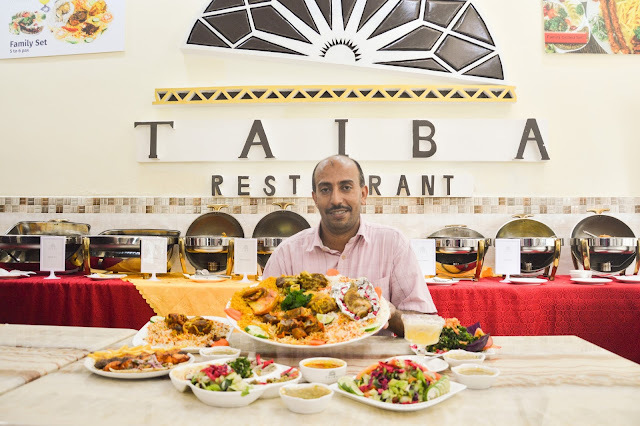 It actually one of the chain restaurants of Taiba Restaurant in the Arab. 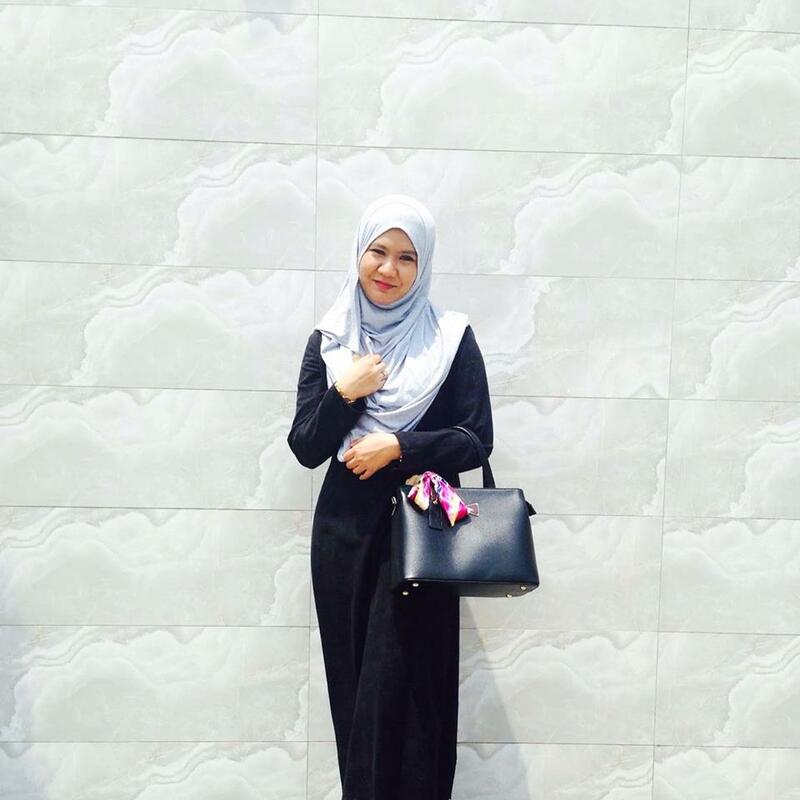 So this restaurant is exactly an established restaurant and have been in Food and Beverage industry for several years. Walk in into this restaurant, you will be delightful with the beautiful set up of the bar. It was decorated with a beautiful tile from the Arabic country. The teapot and drinks are also arrange very well at the shelves. 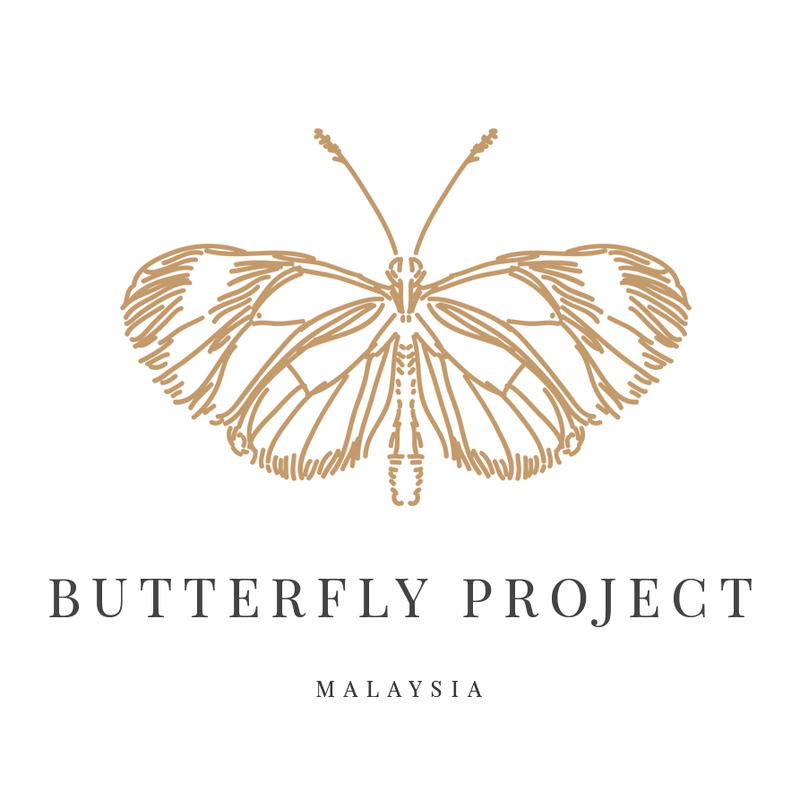 This restaurant also have a large dining area that can carter more than 50 pax per time. 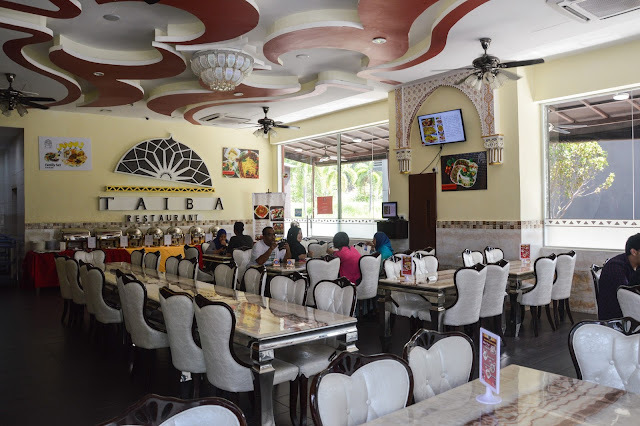 The seats also very comfortable and the ambience also good for family gathering. My parents love to eat Arab Food and this restaurant is a good place for us for family gathering because of the food and the place. On that day, I have tried several types of food that served in Taiba Restaurant. 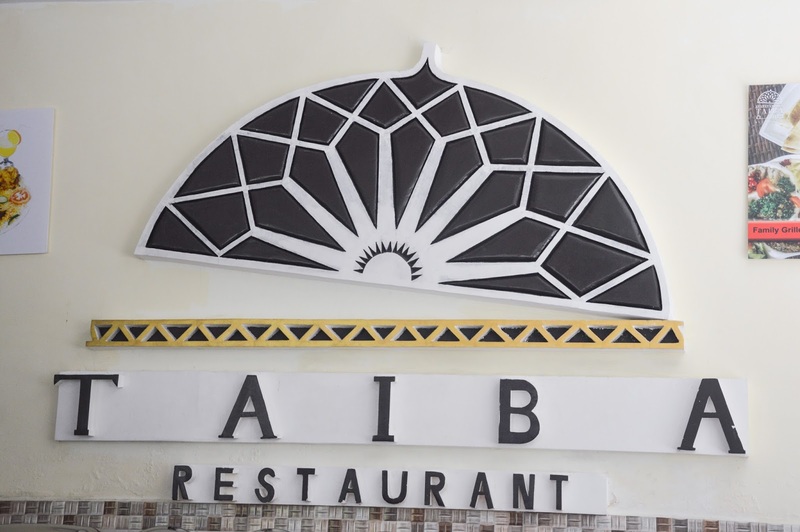 For me, all the food was good and it does have the authenticity of Arabic Food compare to others Arab restaurant that I went before. 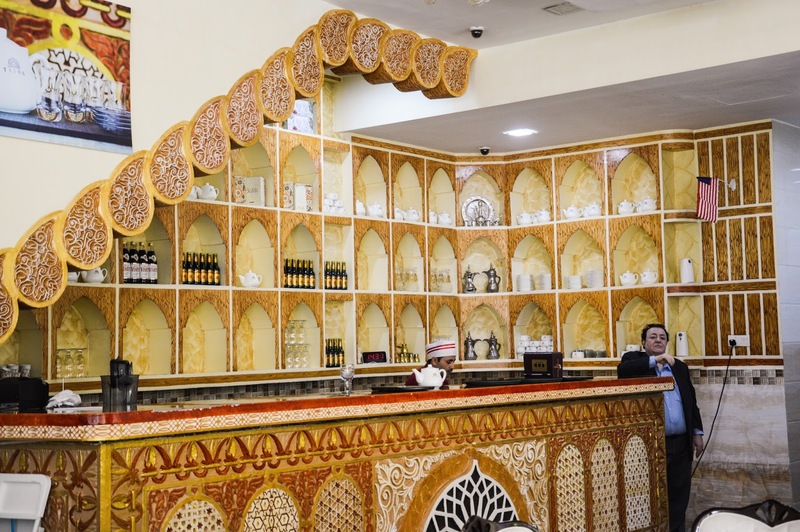 Mandy rice as we know are mostly served in Arabic restaurant. 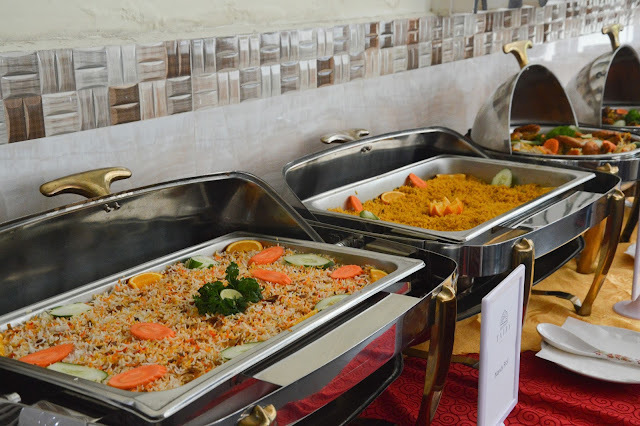 In here they served several types of rice such as Mandi rice, Kabsa rice and also plain rice. I love the Mandi and Kabsa rice because first the rice itself where the use the imported rice from the Yemen itself, it tastes different and secondly the herb and spices they use to cooks this rice is so flavorful. The rice doesn't taste over power by the herbs. The Naan bread and the roasted chicken is something you must try because the roasted chicken is so delicious. Do eat with all the veggy to enhance the flavor of the experience. 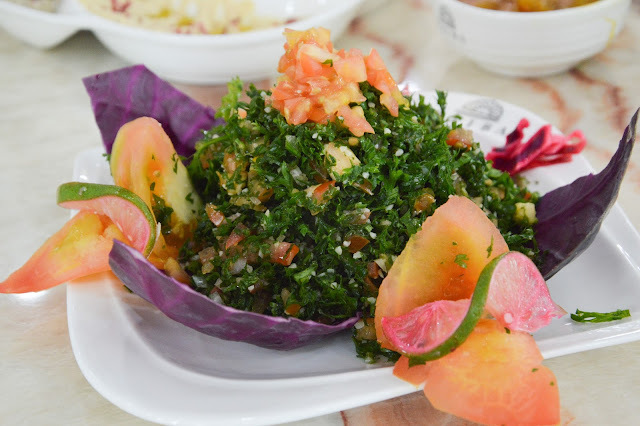 Tabbouleh is Arab appetizer and even though it doesn't look much appetizing it actually does taste good. Tabbouleh is a mixture of onion,parsley and tomato. It taste sour and refreshing! 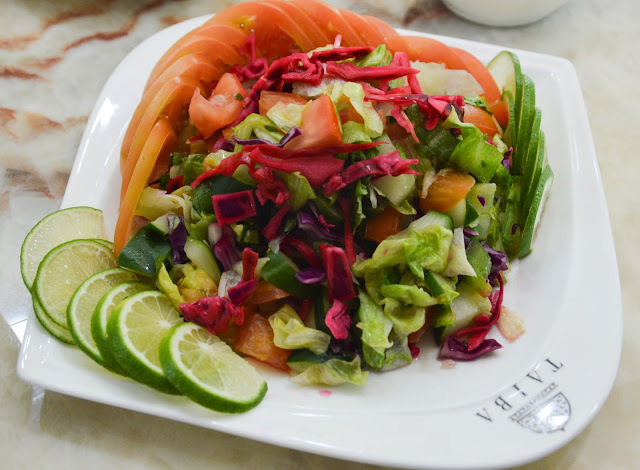 Arabic salad is one the Taiba Restaurant specialty where it combines lettuce, cucumber,tomatoes, capsicum with Arabic style dressing in it. And yes, most of Arabic salad taste sour and refreshing! This appetizer helps to tantalizing your taste buds when eating the cuisine. 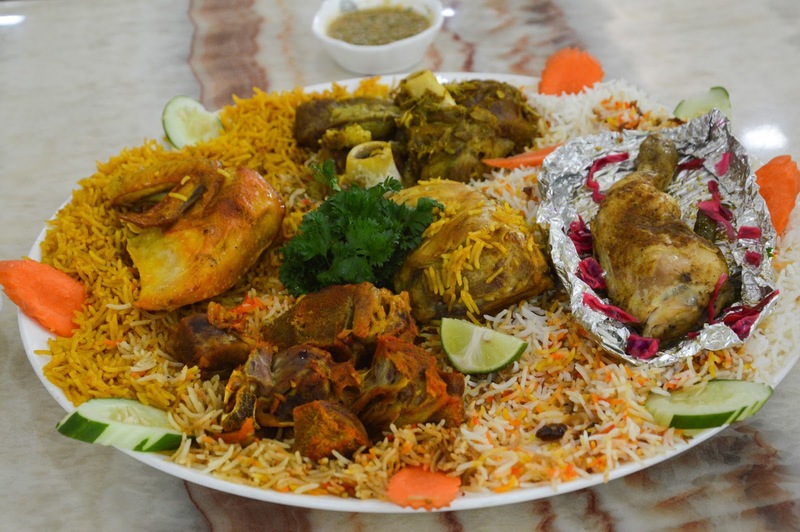 Kabsa Lamb set is definitely a hot selling menu in this restaurant and most other Arabic restaurant. 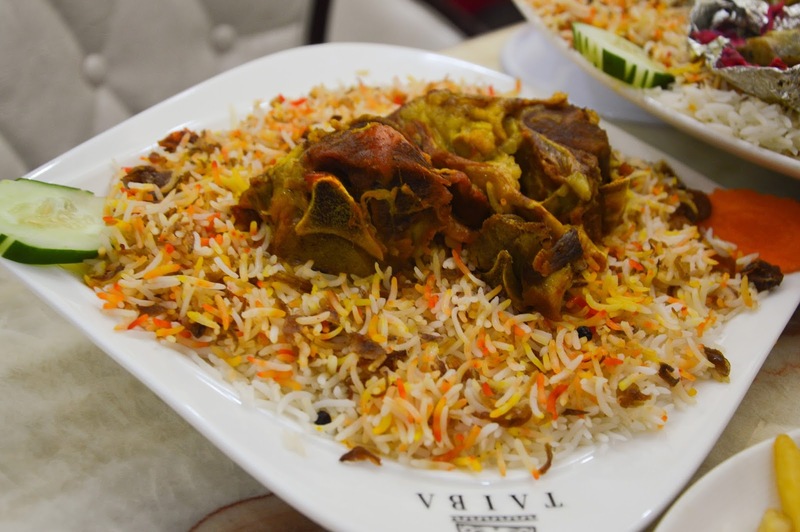 Like in Taiba the Lamb is so soft, still moist and flavorful. 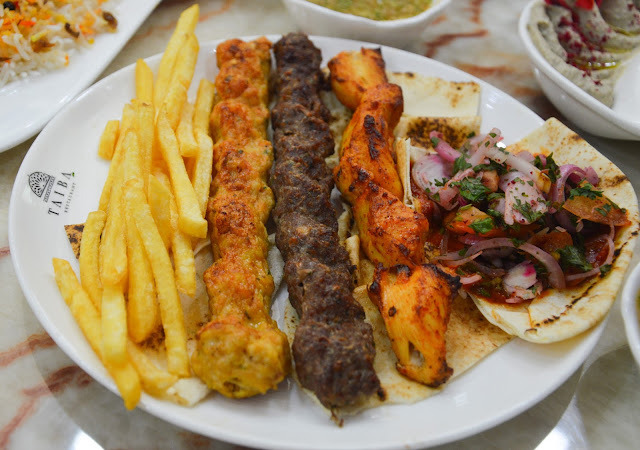 The mix grilled is a mixture of tasty chicken, lamb & beef, served with fries, garlic sauce & bread. It is one the favorite menu by their customers and the variation of meat item on the plate does help you to feel enough with one plate only. 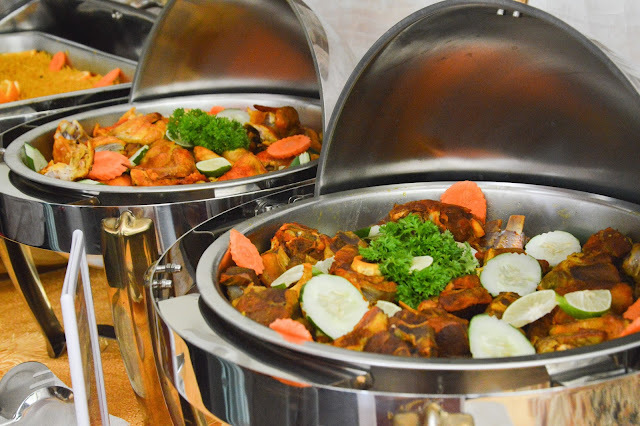 hihi..
OK the best deals when you come in a group or family, you can try this Family set that includes 1 Lamb, 3 Chicken , 1 Appetiser, 1 Jug of Fresh Juice. This set is for 4-5 person or maybe can cater more depends on your group appetite, and only cost you RM110 only. It definitely worth it right?